Military name tapes is essentially a name tag that would be attached to the uniform of a military personnel. Military name tapes cannot be placed anywhere on the uniform, there are regulations and instructions laid out to ensure its proper placement. Name tapes are generally worn on the right side of the shirt or jacket, just above the pocket. Military name tapes can be attached to the uniform by sewing the name tape on the shirt or jacket. The name tape may be a cloth, plastic or a Velcro tape. Military name tapes and tags may also be embroidered onto the shirt or jacket directly. There are digital name tapes available too. 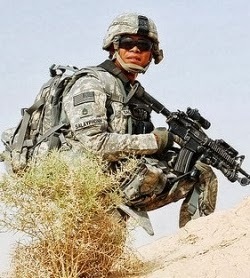 ACU (Army Combat Uniform): Sew on name tapes are no longer used for Army Combat Uniforms. They are name tapes with black letters made from digitized fabric with hook fastener or Velcro. ABU (Airman Battle Uniform): These are name tapes with blue letters and come in twill winter weight material. MultiCam Uniforms: These name tags have black letters and are made on 1 inch MultiCam fabric strips. They are 5 inches in length with Velcro on the back. Woodland BDU (Battle Dress Uniform): The specific colour for Woodland BDU name tapes is olive drab and are made on 1 ¼ inch olive drab fabric strips with black letters. BDU and DCU name tapes are the traditional types, whereas Army ACU, ABU, ATACS and Multicam name tapes are newer variety that have progressed in their development. The main purpose of these military name tapes are the easy recognition. Sometimes their designations can also be seen here. In the battle field a name tape or tag is very useful. Looking at the tape what kind of treatment is necessary that can be decided. In case of emergency this tape also helps to reach their nearest family members. Whether as a soldier or civilian, if you are going on outdoor adventure, then you need to have plenty of storage space for the essentials. 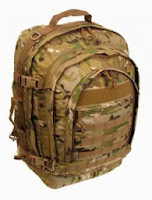 Military backpacks offer a highly efficient and functional solution to suit your needs. Below we highlight three of the most functional and high performing for all types of situations. If you are under a strict budget, this military backpack would be the perfect one for you. Under $60, you can have military-grade backpack, made from a rugged, synthetic material which offers flexibility. All pockets on the Transport Pack are P/U coated for waterproofing and heavy duty nylon coil, self-repairing zippers for security. It has additional pockets for better organization both in and out of the main pack. The Transport Pack is also easy to carry with padded shoulder straps which are adjustable and carry handle for easy handling. Military-grade backpacks offer a great deal of security and stability of your items needed for travelling, especially with the highly function military bugout bag. The bugout bag is made with an abrasion-resistant synthetic 1000-D material and is very durable. Most military bugout bags are coated and waterproof for your convenience, using easy to zip, good-quality zippers for further security. It also has padded waist belts and straps with a carry handle. Its price ranges from $110 to $115 which is fair enough for the quality. For those who are serious travelers or even soldiers on mission, the 3-Day Assault Pack would suit you well. For $160, you can have this military-grade backpack with seven compartments to divide and organize your items. For security, the 3-Day Assault Pack has two straps that offer stability. It also comes in with hydration systems that are essential in the field plus the pockets and the main back pack are waterproof for ease of usage. It is a large back pack 22”x17”x11”with another set of pockets: 2 on the side and one in front. You can find the the 3-Day Assault Pack in MultiCam, ACU, and various other camouflage patterns. You don’t really have to be a military man to use quality grade back packs for your trips. There are several distributors online that can give you the back pack that you want. When inspecting for a back pack, check the sewn edges for any missed stitches or runs that would have a great impact on quality. Check also the zippers if you have any difficulties pulling it. Check all the pockets for any holes and even the straps outside the bag. While it is rare to find these errors in military-grade bags, it’s still good habit to check. One big tip for shoppers is to do your research on a specific military backpack that you want online. If you are having difficulties in choosing one, you are free to explore more designs, price ranges and materials used on military-grade backpacks. Infrared (IR) patches hold an important function for the U.S. Military. IR patches help signify fellow soldiers in field, thus protecting them from friendly fire. In addition, infrared patches provide crucial information to battlefield medics and hospital staff, such as blood type. A soldier's IR patch is an indispensable uniform accessory. During the daytime, IR patches can be seen without a visible reflective glow. However during the night, infrared patches become illuminated while being observed through night vision technology. There are a number of military IR patches for different components of the military-issue uniform. The most common types are IR flags, Army unit patches, and blood type patches. 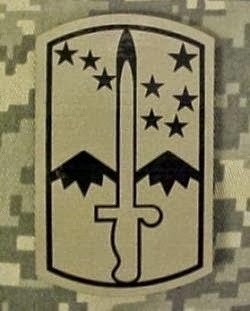 Infrared flags, or IR flag patches, serve as a type of combat identification used by soldiers. During the night, IR flags help units distinguish soldiers amidst the battlefield. The final IR patch carries a very important purpose. That is the blood type IR patch. As its name denotes, the blood type IR patch tells medics the specific blood type of a fallen soldier during the dark. As one of the most critical military uniform patches in the field, the blood type IR patch holds great importance to provide adequate medical attention accordingly. During the initial production of IR patches, they were made available for both the military and civilians. This resulted in terrorist regimes such as the Taliban and Al-qaeda acquiring infrared patches for their own use. Because the coalition attack aircraft were restricted from firing upon anyone wear infrared patches, these terrorist groups were able to avoid attacks from opposing forces. As a result of this issue, the United States State Department has restricted the exportation of IR patches. Although similar versions of the IR patch have been produced and sold overseas, they are not infrared receptive through night vision gear. Only select military surplus stores offer IR patches for sale. You can find many different military-issue IR patches to serve many different functions. If you are looking to show your military pride, then checking out some these awesome military hoodies is a great way to do so. There is a wide collection ranging from military hoodies of the U.S. Army, Navy, Air Force, and Marine Corps. Army hoodies by Rapid Dominance are available in a number of colors including black, olive and coyote. Made of fleece, these lightweight hoodies provide comfort, style and warmth in cool weather. The fabric on these military hoodies is 80% cotton and 20% polyester and so the garment will last you for number of seasons. There are two varieties available in terms of style either a pullover/sweatshirt with hood or a zip up sweatshirt with hood. These are manufactured in all sizes ranging from small and medium to large and extra extra large. Buy them for yourself or gift it to friends and family. Navy hoodies are available in navy blue and are also made of fleece. Lightweight like army hoodies, the too are very comfortable, lightweight, warm and stylish, all at the same time. Made from the same composition of 80% cotton and 20% polyester, these are durable military hoodies are designed to last you a number of years. These are also available as a pullover/sweatshirt with hood or a zip up sweatshirt with hood. Manufactured by Rapid Dominance, they are available in all sizes from small and medium to large and extra large. Air Force hoodies are available in navy blue color in all sizes ranging from small and medium to large and extra large. Made of fleece, 80% cotton and 20% polyester as well, these hoodies are stylish, warm, comfortable and durable. Pullover/ sweatshirt and full zip styles both come with a hoodie on top and are manufactured by Rapid Dominance. USMC hoodies are available in red, black, coyote in all sizes ranging from small and medium to large and extra large. The print is the Marine Eagle, Globe and Anchor and the garment is made of fleece, 80% cotton and 20% polyester. These are smart, comfortable, and durable and will last you for many years. Rapid Dominance too manufactures this like the others above. 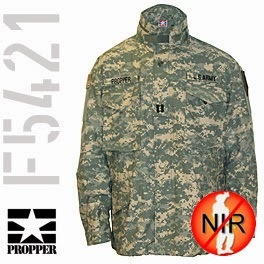 While military hoodies from Rapid Dominance specifically for army, navy, air force and USMC, hoodies by Propper are more general and not linked to a particular branch. Available in all sizes from small to extra extra large, these are stylish comfortable and long lasting. 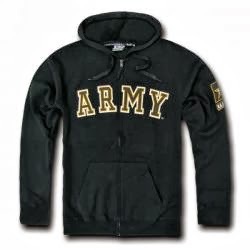 You can visit Military Uniform Supply's selection of hoodies for the best deals not only in military hoodies but a whole lot of different military clothing. 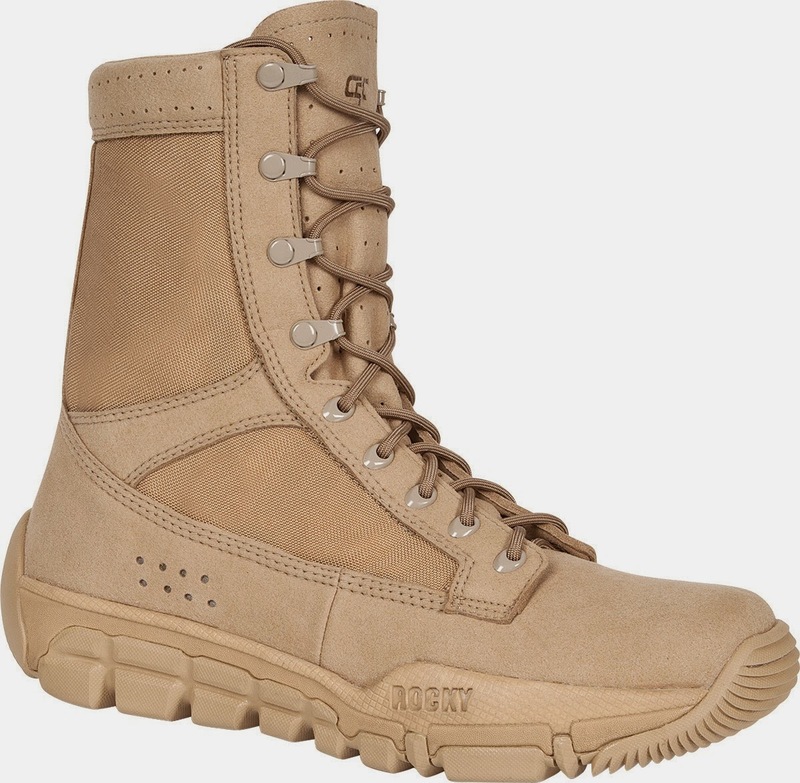 If you are a member of the U.S. Army and were the ACU (Army Combat Uniform), then you will most definitely benefit from buying high quality and comfortable military boots for sale. A good name brand that represents top quality is the first aspect to consider for when searching for military-issue boots. Boots are the only item separating your feet from natural elements, and they are on your feet for the greater part of the day. To help you pinpoint a great pair of military-issue boots that suit ACU regulations, below we highlight three particular products that have earned solid reviews and respect from consumers. You are a real athlete with special needs which is why the Nike SFB Military Boots for sale offer you the best modern materials and the latest scientific research provides. This lightweight protective military boot is strong enough to handle everything coming their way. As you may have already experience, traditional boots aren't exactly friendly when it comes to handling impact and harsh military conditions. These Altama Tan Desert 8" Hoplite Boots are crafted to make your life inside the military much easier so you can focus on what really matters. The impact pods on these Altama military boots allow for a secure and safe feet. Its lightweight design might hide the fact that they protect your feet from everything that can come along from every angle, thanks to their coated brass innersole. For all those who prefer products made in America, these military-issue boots fit the sale. As you might have heard from your fellow companions, not all military-issue boots are good for running. These incredible military boots for sale designed and crafted by Belleville are a high quality solution to that problem, since most of its materials and parts are created to provide a lightweight feel, great comfort, and field tested durability. 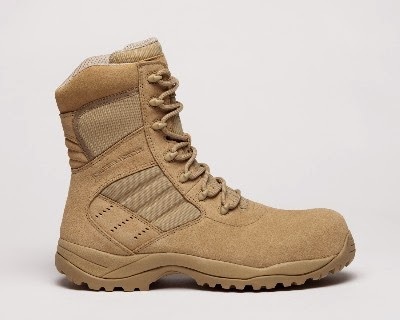 The Belleville Tactical Research TR101 MiniMil Ultra Light Desert Tan Boots boast a number of great qualities. 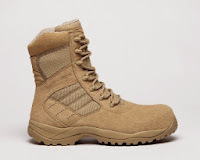 These military boots from Belleville are an exceptional option for military personnel who where both the ACU and MultiCam uniforms, two of the most common military uniforms today. 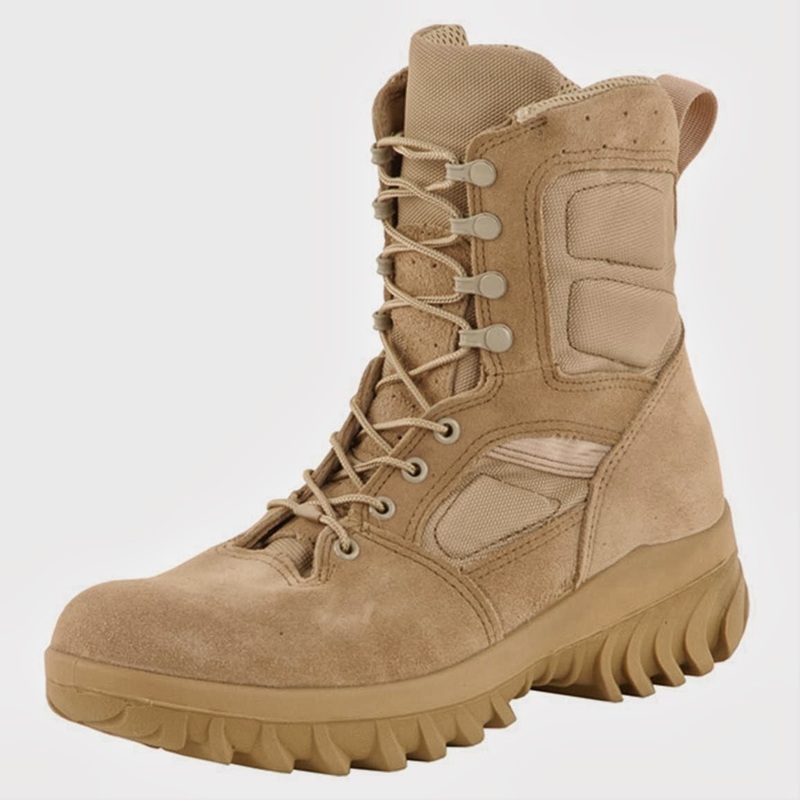 In addition to Military Uniform Supply, you can find these military-issue boots available at other large online retailers like Amazon and eBay. As you can see, the particular features these three choices of military-issue boots become assets in the field. When it comes to quality military boots for sale, you might go for a particular brand, feature or benefits. Just be sure to do your research and be selective. Your feet (and maybe even your life) depend on it. Whether from Propper, Rothco, or 5.11 Tactical, today's army combat shirts are one of the best tops available for various combat situations. Army combat shirts provide a wide range of features and help protect users from a wide range of elements and hazards. In this article, we share some the advancements and features behind common army combat shirts on the market. Modern army combat shirts are typically made of a 60/40 or 50/50 blend of cotton and nylon that helps in insulating the skin when exposed to high temperatures such as is the case with flash fires and blasts. Unlike polyester or “polypro” the resulting blend does not melt onto the skin and thereby reduces burn injuries. Nearly all army combat shirts feature a No Melt/No Drip Cordura Baselayer fabric to cover the torso. This extremely light weight and extra comfortable torso fabric unlike heavier Nomex apparels is not only durable but it also reduces chafe, increases airflow between the skin and the fabric thus wicking sweat away from the body. 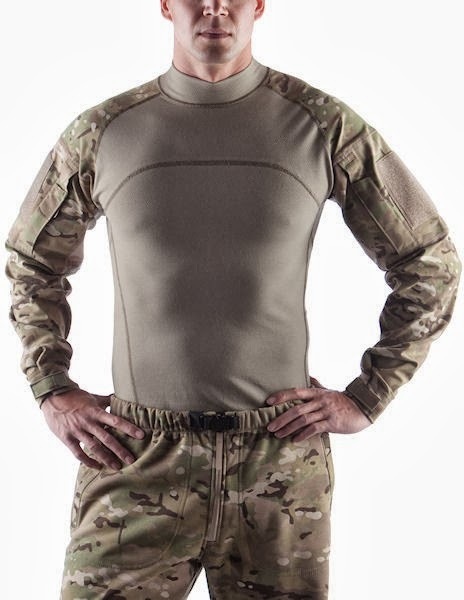 For the ultimate apparel best suited to the most hostile environments, manufacturers have come up with army combat shirts featuring padded elbows. Commonly called “the SuperFabric abrasion dots”, such elbow pads are designed to provide a good level of durability and protection when a soldier is in crawling position. The rest of the sleeve fabric, just like the Cordura Baselayer fabric making up the torso, is designed to be flame resistant. Following the discovery that uniform chest and lower pockets can’t be reached especially when a soldier is wearing body armor and thus practically useless, manufacturers have done away with the weight of the pockets on a standard army combat shirt. Instead, the pockets are located on the sleeves where they can be easily accessed. After phasing out breast pockets, shoulder pockets have become rampant in nearly all army combat shirts being produced today. This adequately addresses known problems when wearing body armor and in addition, the shoulder pockets feature light weight FR zippers that help keep military gear within reach. Another peculiar feature of nearly all modern army combat shirts is the presence of wrist cuffs. Such hook and loop cuff closures can be easily adjusted to fit a variety of wrist sizes in a way that the shirt assumes a snug fit. To help in identification, army combat shirts designs have incorporated Velcro loops on the sleeve pockets to help attach a soldier’s name, rank, unit and their flag patches. This feature has done away with the Army Logo that featured in army combat shirt and appeared at the front of the shirt. Most army combat shirts come in camo patterns, such as ACU digital, MutliCam, Woodland, and desert camo. Other designs feature heavily foliage green color, though other options such as sand color body, black, olive drab and khaki color options are also available. Most of the army combat uniform designs can be found at military-issue stores like Military Uniform Supply. Other features to be found in army combat shirts include: the presence of glint tape holder for IR military operations tape that helps identify friend from foe, sleeves which are gusseted, a mock turtle neck, flat seams to minimize chafing under body armor and pen pocket on forearm for easy access. Choosing the most appropriate backpack might represent a challenging task in some cases, as there are numerous aspects you have to consider if you want to obtain a high quality and very resistant pack that can also offer you numerous other functions. Considering the elementary details of every military backpack available is essential in this situation. If you are not completely sure regarding the most fitted choice you should make, these three military backpacks are very suitable for both civilians and military personnel. The Bugout Bag is the first most appropriate option you have when choosing military backpacks, as it can provide you an impressive number of features and benefits. 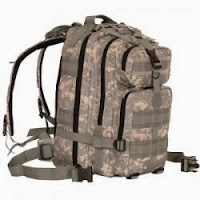 There are three patterns this backpack provides, including ABU, ACU and Multicam, which present different colors and models, keeping, though, the original design. However, this backpack is not only very suited for soldiers, but it can constitute an adequate choice for all traditional travelers. The main features of the Bugout Bag are an internal frame, expandable main compartment, rugged and abrasion-resistant exterior, hydration compatibility, panel organization, Molle and Pals panels, tuck away shoulder harness, padded waist belt and a material that is 1000-D Cordura. Choosing this backpack will offer you the possibility to store numerous objects and items, as it has many zippered pockets and open slots available. With a very affordable price for everyone's pocket, this backpack constitutes a very valuable acquisition mostly for military personnel, especially if they need to prepare for war or other military duties. 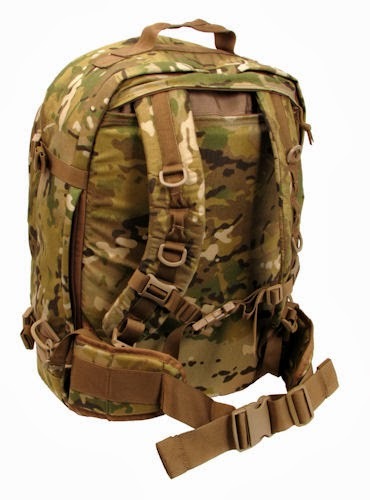 The 3 Day Pack military backpack is an ideal option for soldiers who prefer effectiveness and functionality instead of style, as it has a very attractive Multicam pattern. This backpack can provide people complete comfort while carrying it, as it includes many remarkable features, like comfort, removable waist strap, heavy duty carry handle, adjustable padded shoulder straps, adjustable sternum strap, an 1000-D Cordura material and many others. If you appreciate functionality and comfort and you want to store all the items you need for your trip, the 3 Day Pack backpack represents an excellent choice for all your needs and expectations, as you can carry it easily, without feeling the unpleasant sensation most backpack involve. Its reasonable price makes this military backpack the most suitable option for you, as it can be successfully used any time you need because of its very durable material and complete load stability. If you have to accomplish a military duty, but you are not extremely sure about the backpack you should use, the Sling backpack is more than adequate for all your needs. Given that it has a very functional and attractive design as well, this military item is right for every soldier and other military personnel who need a backpack with a large storage space and other features included. There are numerous benefits associated with this backpack and the most remarkable ones are external pockets, padded back, mobile phone case, compression straps, quick-release single strap and carry handle. This backpack can be easily used and it provides complete access to all its pockets, so it is more than right if you need it for military purposes. The Sling backpack has a attractive ACU pattern, which makes it perfect for military duties that require camouflage. 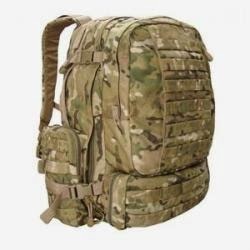 Whether you opt for the Bugout Bag, 3 Day Pack or Sling backpack, all these military-grade backpacks for sale can simplify your military duty and allow you to obtain a large storage space, where you can keep all the items you need in order to succeed. MultiCam® is a advanced camouflage pattern that's becoming quite popular due to its incredible effectiveness in the field, as well as its unique and innovative design. MultiCam was designed to disguise users amidst a wide range of environments, seasons, and conditions. The objective behind its creators was to develop a new camouflage that centers on the need for optimal concealment in a wide spectrum of terrain and changing conditions. 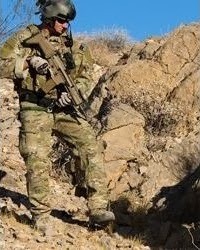 While there are a wide range of camouflage options that suit the demands for concealment in specific environments (such as that of today's desert and woodland BDU's), MultiCam is known to be effective in a wide array of landscapes and conditions, making it one of the most revolutionary developments to support the United States Armed Forces. MultiCam camouflage is a complex pattern composed of many different layers and colors. The background color scheme consists of a tan/brown gradient with light shades of green in between. The frontal layers of MultiCam include a green/yellow color gradient with blotches of brown and a slight pink scattered throughout the camouflage's pattern. The desirable feature behind MultiCam is its ability to conceal a user by deceiving the eye's perception of color. In essence, the visible appearance of MultiCam seems to change from slight green to brown, depending on the brightness and backdrop of the environment. This makes MultiCam uniforms and combat gear ingenious applications for a wide range of situations, particularly for use in the Middle East. MultiCam uniform attire and gear has exploded over the last few years. For military issue applications, MultiCam uniforms have become increasingly demanding as more combat situations are present in Middle Eastern environments. 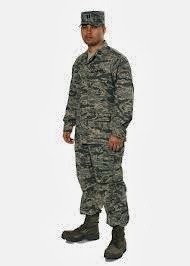 Retailers like Military Uniform Supply have realized this rise in demand MultiCam uniforms and combat gear. Beyond military use, hunters and outdoors men are also finding MultiCam to be a unique choice for their attire. The uniqueness of this camouflage pattern has earned recognition amongst many different markets. 5.11 Tactical Taclite Pro pants have many features that are useful for police forces, tactical teams, military personnel, and casual civilians. 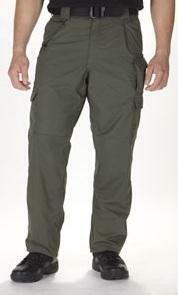 The 5.11 Tactical Taclite Pro pants are made of polyester and poly cotton ripstop. This makes them comfortable in hot weather as they are light weight and the material breathes. They are also formal looking which makes you look professional in a work setting. You can also dress the 5.11 Tactical Taclite Pro pants down when need be and you will be able to create a smart casual look. The fabric of these 5.11 Tactical pants has been treated with HT Teflon wear resistant finish which prevents easy and fast soiling and staining. This enables the wearer to remain clean and neat even when engaged in outdoor activities where you may come into contact with dirt. 5.11 Tactical Taclite Pro pants have also been treated so that they are wrinkle free so hat after you launder them, you do not have to iron which makes their maintenance really easy. These awesome pants from 5.11 Tactical come in a range of colors which include Black, Coyote, TDU Green, Tundra, TDU Khaki and Dark Navy so that you have a wide variety to choose from. You may also opt to get them in different colors if you prefer. The pants are also fade resistant so that they will look good even after constant wearing. 5.11 Tactical Taclite Pro pants have a gusseted crotch which means that there is more space which makes them very comfortable as you have a wide range of movement. This is especially beneficial for people who are tall. The 5.11 Tactical Taclite Pro Pants have enough pocket space to enable you to carry a number of items. The right front part of the pants has an external knife pocket which makes it easily accessible should you need to access a knife. These pants lsoo have cargo pockets on either side which are also easy to access and are sizeable enough without being cumbersome. In addition, the left cargo pocket has a magazine pocket which can also be used as a cell phone pocket. The front right pocket and the left cargo pocket have been reinforced with Cordura nylon which ensures that when you store your knife and magazine, that they remain safe and are not in danger of falling through as a result of tears and holes in the pants. In addition YKK zippers, Prym snaps and Horn buttons which are tough and durable have been used so that the 5.11 Tactical Taclite Pro pants will last for a long time. The seat and the knees of the pants have been reinforced with double fabric so that they last long. Other pockets available are the slash pockets at the back of the pants which are unique to the 5.11 Tactical pants. The belt loops have been reinforced and are thick enough so that you can carry other equipment such as cuffs which make them convenient. There is a brass clip D-loop which is on the belt loop at the front, on the right side which can be used to hook keys, a phone or others. 2013 Halloween Costume Ideas for Kids: Army & Military Uniforms! Military Halloween costumes are without a doubt some of the most awesome, especially if you're in Military family. Unlike other Halloween costumes, Military Halloween costumes give your kids a sense of action and excitement while enjoying Halloween night. It's not easy to find good quality Military costumes for kids. Many Military Halloween costumes are on the cheap side and have basic camo clothing and maybe some face paint. Well if you're looking for Military Halloween costumes for your kids, look no further. We found the solution to find top-quality and authentic Military Halloween costumes. The place is Military Uniform Supply, and they offer an abundance of options. Unlike other sources that offer only basic army clothing and camouflage for kids, Military Uniform Supply is offers a full line-up of authentic kid's military clothing and uniforms. These kids military uniform packages come complete with everything a kid needs to suit up like a real soldier for Halloween. From the fatigue cap to the uniform accessories, each kid's military uniform includes many different components and authentic camouflage. At Military Uniform Supply, you can select from various kid's military uniforms. Each package is a miniature replica of an actual uniform of the US Military. From the ACU (Army Combat Uniform) to the DCU (Desert Combat Uniform), all of these army uniforms are truly authentic. In addition to finding complete military uniform packages, you can also buy single articles of military clothing, such as camo pants, jackets, accessories and more. Beyond making your 2013 Halloween awesome, these military uniforms are also ideal for many types of outdoor activities, including hunting, boy scouts, and paintball or airsoft. To start searching for Military costumes to gear-up for your 2013 Halloween, visit MilitaryUniformSupply.com for all types of Army and Military costumes fo kids.